But where was home? Mostly in books, it seems, the refuge of misfits and wanderers. The son of an illiterate Greek islander and an Irish officer in the British army, Lafcadio Hearn was raised in Dublin before landing in decidedly un-Oriental Cincinnati, Ohio. With neither funds nor connections, he scraped a living in the newspaper trade while he began making a name for himself as a writer. During this period of apprenticeship, he developed a literary style all his own and an admitted taste for all things monstrous, profane, savage and supernatural. If no place is home, then soon the entire world looks foreign. As someone who spends as much time outside America as in it, I found this aspect of Hearn’s work familiar and alluring. In his early writing, he does not have the imperial eye of a white man. Instead, blind in one, pop-eyed in the other, he yet saw clearly those aspects of American life that passed unseen by Gilded Age literary sensibilities, eager for London’s attention. The Library of America’s edition of Hearn’s early writings tracks him from lurid crime scene reportage in Cincinnati, to his decade “inventing New Orleans” and the rich variety of its Creole world, to his travels in the French West Indies. It stops short of following him to Japan where he would end his improbable life at age 54, as Koizumi Yakumo. There is a particular challenge to being a writer set adrift from your own culture and its assumptions; one tends to live in a constant state of translation. At first you eye the exotica of your adoptive home like shiny curios. Then you try to make the strange familiar and explicable to those you have left behind. But how do you maintain intimacy with a reader who inevitably becomes more foreign the longer you are away? Conversely, how do you portray characters from another (generally less dominant) culture without reducing them to familiar caricatures? In his New Orleans work Hearn lovingly parsed gradations of skin color and hair texture—indeed, Creole society fetishized these differences and created a world from them. By the time he left, Hearn had ceased to see the strangeness in that, and had accepted the hierarchy of skin tones as the natural order of things; the West Indies upended that. When he arrived in the French West Indies in 1887, the plantation order had been eclipsed and had yet to be replaced by anything Hearn could make sense of, either for himself or for his readers. Some consider Two Years in the French West Indies his masterpiece, but to my mind his countless descriptions of sunsets, azure seas, the profuse and wild displays of flowers, the unending parades of picturesque native costumes and toned ebony limbs, make glaring the fact that the islanders and their lives are almost entirely missing, often replaced by a casual and sometimes shocking racism. It is as if he could not see the people of the islands as more than childlike or barbaric fauna to peddle to Harper’s Monthly readers immured in faraway and frigid New England. Yet I feel Hearn rescued himself in the retelling of the legend of Youma. Youma was a “da” of a distinguished colonial era Martinique family. A da, he explains in his prologue to her story, was the family nurse, generally a Creole and a slave, who nonetheless was as respected and beloved by the children she cared for as the white mistress who gave birth to them. Though she might marry and have her own children, the da would live her entire life within that family’s household and would even be buried with honors in the family crypt. For generations, then, the da cemented the sentimental kinship between slaveholder and slave. Hearn’s account of Youma’s life resembles both a Greek tragedy and a Victorian melodrama. Her fate at the hands of a slave uprising is not unexpected but it is Youma, and the slave who loves her, who manages to attain the honor and nobility forever denied those who claim ownership of her. This is what the wandering writer must achieve while squaring one worldview with another. Look clearly at the terms on which another society conducts itself, and find the story in which humanity finds its fullest and most brilliant flower. 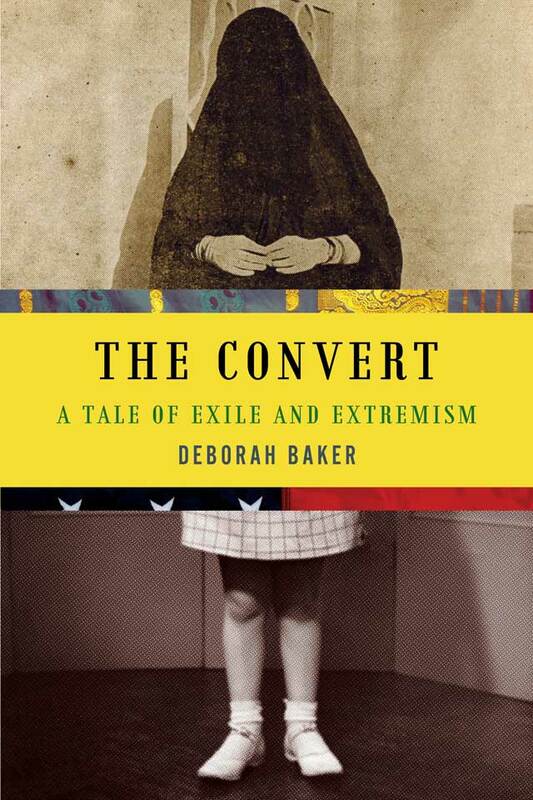 Deborah Baker is a writer who divides her time between living in Brooklyn and Goa, India, and her work often concerns the impact when cultures collide. Reviewing The Convert, Baker’s portrait of Maryam Jameelah (born Margaret Marcus), a New York Jewish convert to Islam, Lorraine Adams wrote in The New York Times Book Review: “Baker not only makes us care about this disturbed woman and her hectoring prose, she has succeeded in composing a mesmerizing book on one of the more curious East-West encounters.” Echoing this, Ahmed Rashid called it “the most brilliant and moving book about Islam and the West since 9/11.” Michael Ondaatje described her previous book A Blue Hand: The Beats in India (2008) as “comic, tragic, and written with great verve and nerve.” Her biography In Extremis: The Life of Laura Riding (1993) was a finalist for the Pulitzer Prize.